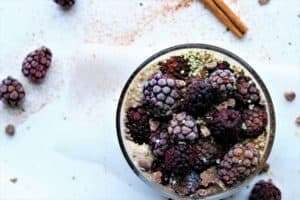 Chai Chia Berry Pudding Bowl. Gluten-Free. Green Scheme. I love chia for all of the benefits that it offers…fiber, antioxidants and protein to name a few. 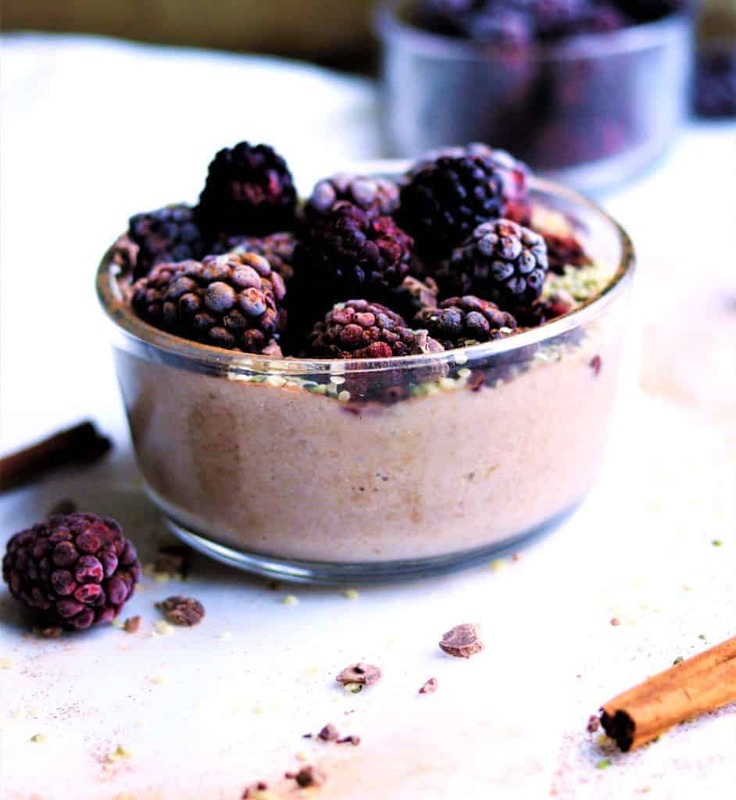 I am always looking to create great new combinations with chia seeds.. Today, it is Chai Chia Berry Pudding. We already love chai when mixed with tea, so, why not include it in other recipes? The result is that the pudding is completely smooth, and goes down like silk. Yum. On a practical note, on occasion, I am not in the mood for the texture of chia seeds, so I ground them in the Vitamix with a dry grains container. They are then powdery, and smooth and very pudding like. Kids will never suspect that this is so healthy and good for them! 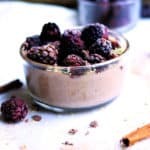 Chai Chia Berry Pudding-creamy, light and nutritious. Mix all ingredients except berries in blender. Stir in half the blackberries with spoon.